"No one breaks out alone." 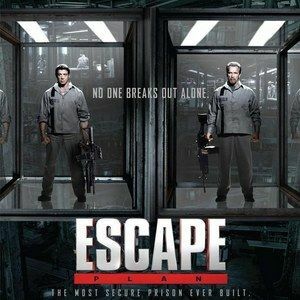 Arnold Schwarzenegger and Sylvester Stallone are teaming up for Escape Plan, which finds the iconic duo trying to escape from the most secure prison ever built. The action legends compare gun sizes and mean stares in two new posters for this thriller, in theaters fall 2013.